If you were to mix a poodle and a chicken together, you’d get a one of a kind chicken with fluffy feathers that resemble a people’s fur. 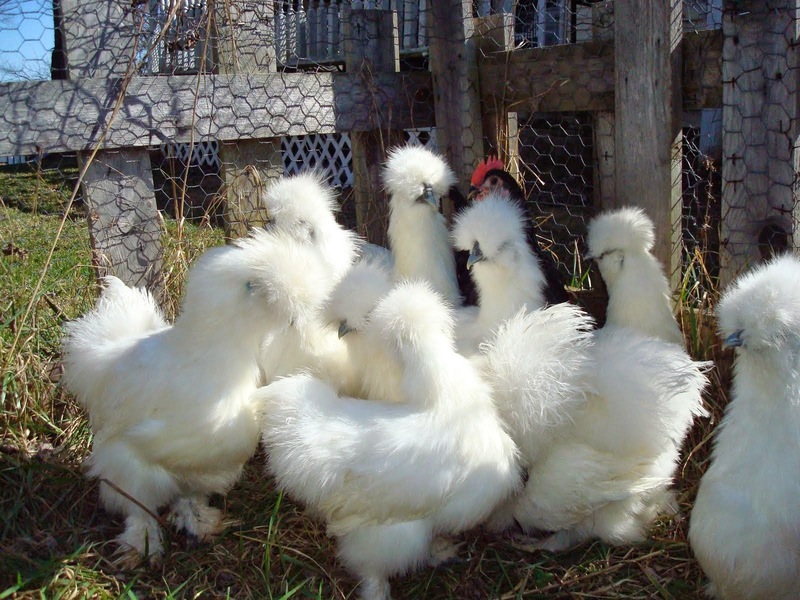 These chickens are called Silkie Chicken or Chinese Silkie Chicken and have become popular farm pets over the years. These chickens are said to have origins in Asia. However, despite their names, it’s unclear whether they started breeding them in Japan, China or even India. It’s believed that the explorer Marco Polo was the one who introduced these birds, among a number of other exports, to Europe. 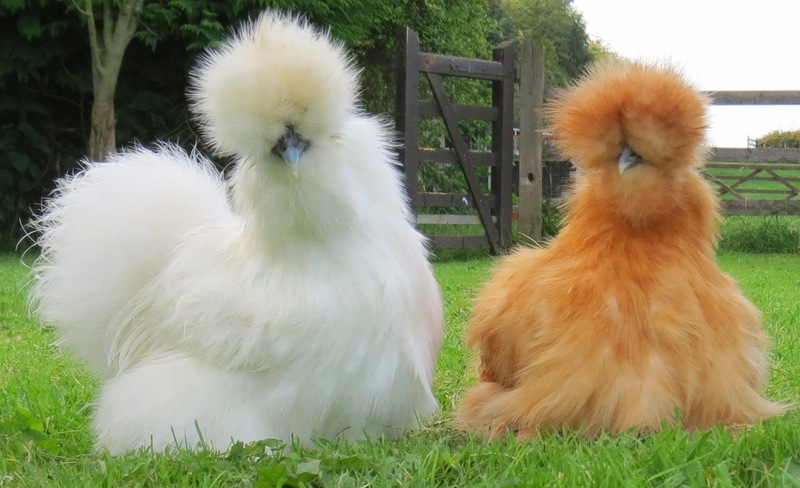 One look and you’ll understand why these chickens are called Silkies. They have a unique look to their feathers which reassembles soft, silky hair. Unlike most fowls, Silkie's lack barbs on their feathers which otherwise would hold the tiny strands together. These individual strands are free of sticking to each other so they flow and move freely. There are two kinds of Chinese Silkie, non-bearded and bearded. The Non-bearded ones have large, obvious wattles under their beaks while bearded Silkies have small wattles and full, fluffy puffs around their faces. Both the non-bearded and bearded Silkies have feathery crest which resembles powder puffs and fleshy combs on the top of their heads. 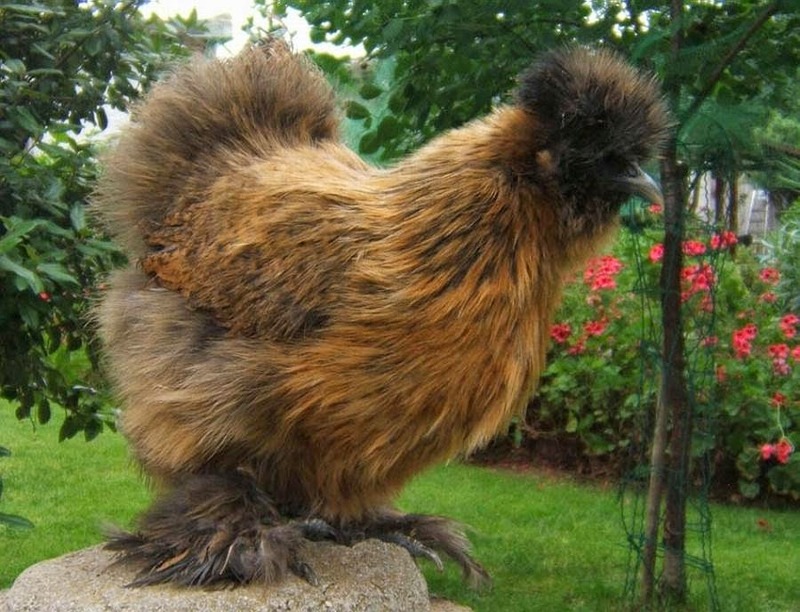 Male Silkies have larger combs compared to females. They also have five toes and dark flesh, which is another trait different from most fouls. Other than their appearance, these chickens basically eat and act like all other chickens. Owners can feed them regular chicken pellets or even ground up corn.